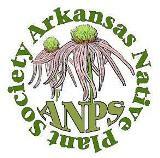 Theo Witsell, Arkansas Natural Heritage Commission, asked us to share this. We said, “Of course!” Enjoy the video! Explore the unique glade habitat on the Buffalo National River in Arkansas. Learn about the current restoration and management practices the Park is implementing in order to preserve the rare plants and animals that call these glades home. Take a helicopter ride down the Buffalo, see prescribed wildfires that are essential to the health of glade communities, listen to the beautiful bird songs of the glades, hear the interviews of area experts, and enjoy the regional music of the group Harmony. This entry was posted in Education and tagged Arkansas Natural Heritage Commission, Buffalo River, Glade habitat, Theo Witsell. Bookmark the permalink.